I have known Sri Sai Baba for a long time and I have given some account of him in my books (1) Bhakti Saramrita Ch. 26, 65, 66 and 67 (1925) (2) Bhakta Lilamrita Ch.31 (1906) and Ch 32 and 33 and (3) Santakatamrita Ch 57. Ch 31 of No.2 and Ch. 57 of No.3 were published in Baba's lifetime. Some facts, i.e. autobiographical reminiscences, came from Baba's own mouth. But they were very few. Besides, I had not spent much time with Baba. I rarely saw him. When I was at Shirdi, Baba did not allow me to stay long at the masjid. He made me go away to the Vittal temple where I stayed to write lives of saints, or to spend my time in repetition of Vishnu Sahasranama etc. I made some inquiries about Baba also before writing these works. Some facts were within my personal knowledge. I was in active (police) service as a Havildar. I had however my literary and histrionic leanings. I took great interest in tamashas (village plays) and took part in them. I composed poems impromptu, in lavani and other metres. While I was in service and Nana Saheb Chandorkar was D.C. or Collector's chitnis, he took me to Sai Baba. Even from the outset Sai Baba foresaw my future and wanted to save me from my own ways and choice of profession and pastime. He told Nana Saheb even in my presence, 'This man is fond of Tamashas, and of his service. Let him give it all up". He told me the same and Nana Saheb also. But I liked my pastimes and service. Gradually I gave up taking part in Tamashas, i.e. Village plays. As for service, I could not think of giving it up. Each time I was advised to give up service, I said, "I will see." Baba then said that only by sheer compulsion, i.e. by being impaled, I could be made to quit service. So for about 10 years, Baba went on dinning into me, directly and indirectly, that I should give up service. I shall mention later how in 1903 I was reduced to giving up service after several disasters in which Baba's grace saved me from punishment, disgrace, trouble of various sorts, and even death. First I shall narrate how some facts about Baba's antecedents were revealed at an examination of Baba as a witness. There was a thief charged with theft etc., of jewels in the Dhulia Tahsildar Magistrate's Court. The accused pleaded that Sai Baba of Shirdi had given him the jewels and cited Baba as a witness. Summons came. Baba refused to receive it and had it thrown into his dhuni (fire). Anyhow the report was sent that summons had been served on Baba. But Baba did not go to Dhulia for the trial. So a warrant was issued by the Dhulia Court for producing Sai Baba to give evidence at Dhulia. The warrant came to Ganapatramji, the Chief Constable of Kopergaon. He brought the warrant to Baba and informed him of its contents and requested Baba to go with him to Dhulia. Of course he had not the courage to arrest Baba. Baba was defiant. He cursed and swore and asked the constable to throw the warrant into some foul place. The constable was perplexed. I was there and told him to consult Baba's devotee Nana Saheb Chandorkar, then Dep.Collector at Ahmednagar. N.S.C. was consulted and he said that if Sai Baba and the devotees disliked his going to Dhulia, the people should get a Mahazar prepared and get numerous signatures to it and send it up to Dhulia. This was done. 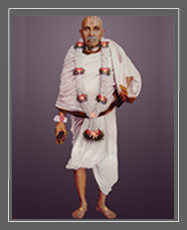 The Mahazar stated that Sai Baba of Shirdi was an extraordinary person, worshipped as God by vast numbers of devotees, that the enforcement of ordinary Court's process against him was neither proper nor desirable in view of the consequences that might follow etc., and that if his evidence was necessary, a Commissioner might be sent to Shirdi to take his evidence. The Dhulia Court then sent a Commission. One Nana Joshi, 1st Class Magistrate, Assistant Collector, came down to Shirdi to take the evidence of Baba. Three hours before his arrival Baba had sent for chairs and a table and improvised a Court at the Mosque. The Commissioner came and began Sai Baba's examination; and an extraordinary examination it was.